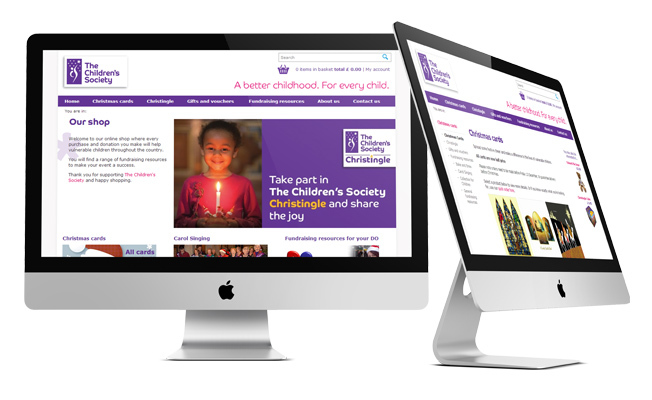 Online shop build for large charity. A number of features were requested for the shop which included a user admin area where people are able to edit all their information, different delivery options, and an extremely simple check out system that is completely accessible to everyone. As part of the project they wanted to see all design wireframes for the different scenarios. 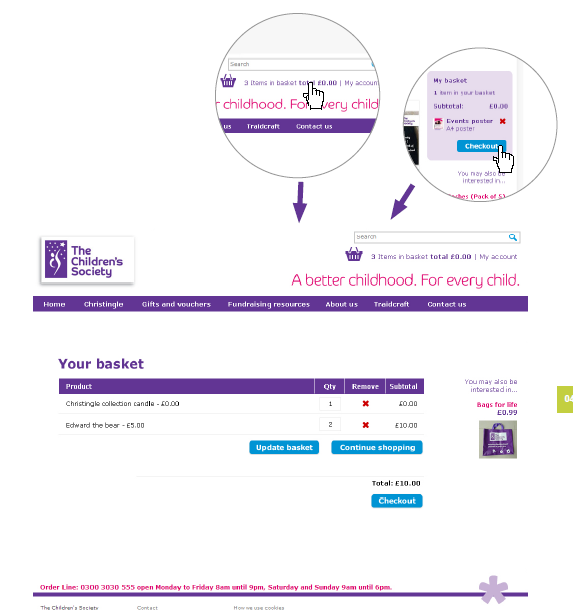 To make the checkout process simpler for their users so that they achieve a higher number of orders through the website. The design also needed to fit in with their current branding. The uploading and editing in the CMS also needed to be very simple for the web editor to use. 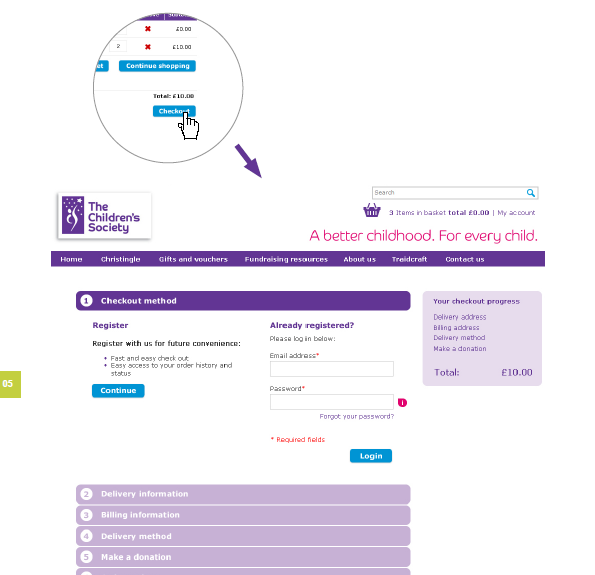 The checkout process was clearly illustrated in the design wireframes. The outcome of the products module designed and built for the client is that they now have an effective and efficient method to allow their users to buy products on their online shop. This will hopefully mean that more people will purchase products online using the simple system. The client was very pleased with the end result, it has made it much simpler for them to edit and upload products through the ExtraCMS. ExtraDigital offer a comprehensive marketing website design service for a range of businesses and sectors including personalised modules and website additions for consultants and businesses. To learn more take a look at our range of ExtraCMS modules or contact us today to get an initial, free website review and find out how we can bring your business to life online.